Phantom of the Opera Slot Machine Bonus is a video slot powered by Microgaming. It is Inspired by one of the musical and a famous novel of the same name. Even the symbols on the reels of the game are the characters inspired by the same. The game on the slot site offers great background music, amazing graphics, and brilliant features. 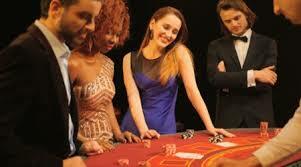 The slot is fun to play and keep the players entertained. To start the Phantom of the Opera Slot Machine Bonus, you need to place a bet that can range from 0.30 to 15. It is a pretty good range that can accommodate beginners as well as experienced players. The Spin button can be used to start the reel and the Autoplay button can be used on the slot website to keep the reel in motion without any interruption for a specific number of times. The Wild symbol of the game is the logo of the game that can substitute all the symbols other than the scatter i.e. the Mask. In Phantom of the Opera Slot Machine Bonus, the Wild symbol can also appear as double stacked. Even in case you land up with three or more wild symbols on the reel, you will get the winning combination. Phantom of the Opera Slot Machine Bonus gives you a chance of winning a cash prize up to 20x the stake when you land up with letter bonus. And this feature gets activated during the base game only when you land up with Letter symbol on reel five. When you land up with three or more scatter symbols, you trigger the ‘Pick Me Bonus’. Here, you get three options to choose from i.e. ‘Masquerade’, ‘All I Ask of You’, and ‘Music of the Night’. Masquerade feature will let you choose from three masks given that will reveal the prize which can be level ups, cash prizes, or additional picks. All I Ask for You feature gives you ten free spins along with the Dancing wilds which will further award you special enhancers. These can be the 3x multiplier, turning both the reels wilds or turning one reel wild according to their positions. Music of the Night feature can give you ten free spins along with the multipliers. Overall, Phantom of the Opera Slot Machine Bonus offers great bonus features with amazing gameplay. It has great potential for the players to win huge payouts while enjoying a beautiful soundtrack.